Today is the fifth day of the eight-day Jewish festival of Hanukkah (חֲנֻכָּה‬ “dedication”) – a festival which commemorates the re-dedication of the Second Temple in Jerusalem during the revolt against the Seleucid empire by the Maccabees (Judah Maccabee and his four brothers, and their supporters). The Maccabees were revolting against occupation by the Seleucid Empire in general, but more particularly against the desecration of the Temple (which begain in 167 BCE when Antiochus IV ordered an altar to Zeus to be erected in the Temple, banned circumcision, and ordered pigs to be sacrificed at the altar of the temple). The revolt began soon after and the Temple was liberated in 165 BCE. Judah Maccabee ordered the Temple to be cleansed and a new altar to be built. The Temple was re-dedicated and this re-dedication has been commemorated ever since in the festival of Dedication (Hanukkah). The custom of lighting candles every night during the eight days and nights of the festival originated in a story told in the Talmud that for the re-dedication it was necessary to find undefiled pure olive oil for the candelabrum, or menorah, in the Temple. The story goes that only one flask was found and with only enough oil to burn for one day, yet it miraculously burned for eight days, the time needed to prepare a fresh supply of oil for the menorah. An eight-day festival was declared by the Jewish sages to commemorate this miracle. Since then Hanukkah is commemorated by lighting one candle on the first day, two on the second, etc, until eight candles are lit on the eighth and final night of the festival. The story of the revolt, the liberation of the Temple, and its re-dedication is told in the books of 1 & 2 Maccabees. The first book of Maccabees was originally written in Hebrew, but this Hebrew original has been lost and it has been preserved in a Greek translation in the Septuagint, the Greek version of the Hebrew Bible which was popular with early Greek-speaking Jews and Christians. The second book of Maccabees was written in koine Greek, the “street Greek” which was also the language of the New Testament. (The books known as 3 & 4 Maccabees which are found in some Orthodox Christian Bibles have nothing to do with the story of the Maccabees and deal with entirely different events). Interestingly, the books of 1 & 2 Maccabees which tell the story of Hanukkah are not included in the canonical Hebrew Bible as these books are in Greek, not Hebrew. They are, however, included in many Christian Bibles including the canons of the Catholic and Orthodox churches, and those Protestant churches which include the Apocrypha in their Bible. It’s interesting that these books which tell the story of the origins of this important Jewish festival are found in many Christian Bibles, but not in the Jewish canon, although Christians have never commemorated Hanukkah as a Christian festival (although some other Jewish festivals are celebrated by Christians under different names, such as Passover=Easter and the Festival of Weeks [Shavuot]=Pentecost/Whitsunday). There is also one more Christian connection to Hanukkah which I find interesting. The Hebrew Bible never mentions Hanukkah (as the Hebrew canon was probably completed by the time 1 & 2 Maccabees were written), but the New Testament does mention it. In the Gospel of John a casual reference is made to Jesus being in the Temple in winter during “the festival of the Dedication” (John 10:22) which is a clear reference to Hanukkah. To all my Jewish friends חַג חֲנֻכָּה‬ שָׂמֵחַ – Happy Hanukkah! There is another possible connection between the Gospel accounts of the crucifixion of Jesus and the discovery of the remains of a crucified man likely to have been the last Hasmonean king of the Jews, Antigonus II Mattathiah. I am Abba, the oppressed, the persecuted, born in Jerusalem and exiled to Babylon, who brought back Mattathiah son of Judah and buried him in the cave that I purchased. An article by Ariel David in Haaretz refers to a paper published last year in the Israel Exploration Journal by Yoel Elitzur, a Hebrew University historian, which notes that in Jewish texts and manuscripts the name Abba and Baba were often used interchangeably, and identifies Abba as the head of a family mentioned by Josephus as the “the sons of Baba” and described as being supporters of the Hasmoneans long after Herod had taken power. Abba later also appears frequently as a personal name in the Gemara (a section of the Talmud). All four canonical Gospels refer to an incident where Pilate asked ‘the crowd’ if they wanted Jesus to be released (referring to a custom of releasing a prisoner at Passover) or Βαραββᾶς Barabbas (several ancient manuscripts give his full name as ‘Jesus Barabbas’). Βαραββᾶς is a Hellenised form of the Aramaic בר אבא Bar Abba, or son of Abba. Barabbas, or Bar Abba, is described in the Gospels as a δέσμιον ἐπίσημον desmion episēmon, that is, a ‘notable (or notorious) prisoner’ (Matthew 27:16), and Mark 15:7 and Luke 23:9 say he had been imprisoned with the στασιαστής stasiastēs or insurrectionists because of his role in an uprising in the city. John 18:40 calls him a λῃστής lēstēs which is sometimes translated ‘robber’ but a better translation would be ‘rebel’ or ‘insurrectionist’. Barabbas/Bar Abba was no ordinary thief or murderer. He had been caught up in one of the several unsuccesful insurrections against the Romans and was possibly a member of the prominent priestly Abba family in Jerusalem. He was almost certainly facing crucifixion. According to my reading of the Gospels ‘the crowd’ which called for his release was not the same group of people who just days before had hailed Jesus as the Messianic ‘Son of David’, but rather a mob consisting of or backed by the religious leaders. If I have read this correctly, then they were calling for the release of one of their own sons. A question arises from my previous post: why would the Roman governor, Pontius Pilate, be so willing to allow the body of Jesus to be buried rather than disposed of in the manner common to executed criminals? Joseph of Arimathaea is one of the most crucial characters in the early accounts about the death of Jesus. Without his appearance in the story Jesus’ body might have been left on the cross to be devoured by animals, or thrown into the city rubbish dump, known as Gehenna. 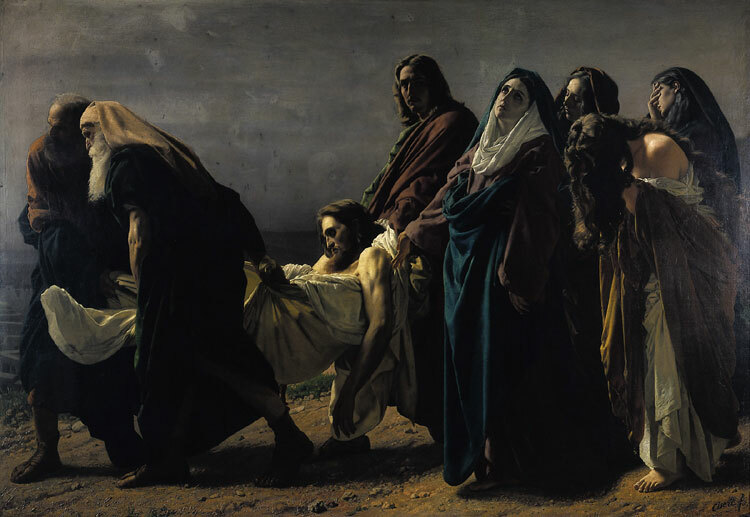 His role in Jesus’ burial was one of the details which are recorded in all four Gospels, yet each writer gives us some information peculiar to his account. Mark tells us that Joseph was “a prominent member of the Council, who was himself looking for the Kingdom of God” (Mark 13:43). Luke informs us that he was “a good and upright man” who had not consented to the decision and action of the Sanhedrin (Luke 23:50-51). Matthew tells us that he was a rich man and had become a disciple of Jesus (Matthew 27:57) and John adds that he was a disciple “secretly because he feared the Jews” (John 19:38). The Gospels tell us nothing about the activities of Pilate between the time he sentenced Jesus and his audience with Joseph. Commenting on the early hour of Jesus’ trial, A.N. Sherwin–White remarks: “There is ample evidence about the arrangement of the upper-class Roman official’s daily round” to know that Pilate would be “at his official duties even before the hour of dawn” and would have enjoyed “the elaborately organised leisure of a Roman gentleman” by an early hour. We can confidently deduce a number of other things. First, Pilate would have been in an inhospitable mood, for several reasons. His authority as Governor and his political aspirations had been challenged by the Jews who threatened to report him to Caesar (implied in John 19:12). He had been shown to be judicially impotent, having declared Jesus to be “not guilty” three times before feeling compelled to sentence him to death. He was in trouble on the domestic front as well. His wife had sent him a message: “Don’t have anything to do with that innocent man, for I have suffered a great deal today in a dream because of him” (Matthew 27:19). Imagine his reception when he had to report to her that he had had “that innocent man” put to death! Secondly, it is likely that Pilate was determined, by the events of the morning, to make the best of his afternoon leisure time. He may well have given instructions to his secretary that he was not to be disturbed, especially by local politicians! All four gospels tell us that Joseph was from Arimathaea, possibly Ramathaim-zophim, a short distance north-west of Jerusalem. Matthew adds the detail that Joseph arrived in Jerusalem from Arimathaea that afternoon “as evening approached” – in other words around 3 p.m. How long he had been away from Jerusalem, and why, we can only speculate. According to Luke, Joseph had not consented to the actions of the Sanhedrin of which he was a member. It may even have been his cross–examination which had revealed the accusers of Jesus to be “false witnesses”, although that is mere speculation. As a result, he may have felt threatened or intimidated by the hostile enemies of Jesus, and had consequently gone into hiding in Arimathaea. John’s description of him as “a disciple of Jesus, but secretly because he feared the Jerusalem religious leaders” can be translated to read that Joseph was “a disciple in hiding, for fear …” (the word translated “secretly” – κρύπτω kryptō – is a perfect participle passive). Joseph may have recently gone into hiding but he now came out of his seclusion. We can only guess what caused him to return so soon. It may have been the isolation of Arimathaea and the opportunity to think about the circumstances of the day in the quietness of his own home which allowed Joseph to re-assess his position. However, according to Jewish law, even a criminal’s body might not be left hanging all night, but had to be buried that day (Deuteronomy 21:22-23), even more so when the next day was one of the most important Sabbaths in the year (John 19:31). Jesus’ family and friends, however, were in no position to claim the body. His disciples had all fled after his arrest in the garden and would not have risked their lives to beg for his body. His family, being Galilean, would almost certainly have great difficulty in finding anywhere in Jerusalem to bury him with such short notice. Had it not been for the appearance of Joseph, Jesus’ body would no doubt have been consigned to Gehenna, the city’s rubbish dump. Why was it that Pilate was persuaded to grant Joseph’s request? 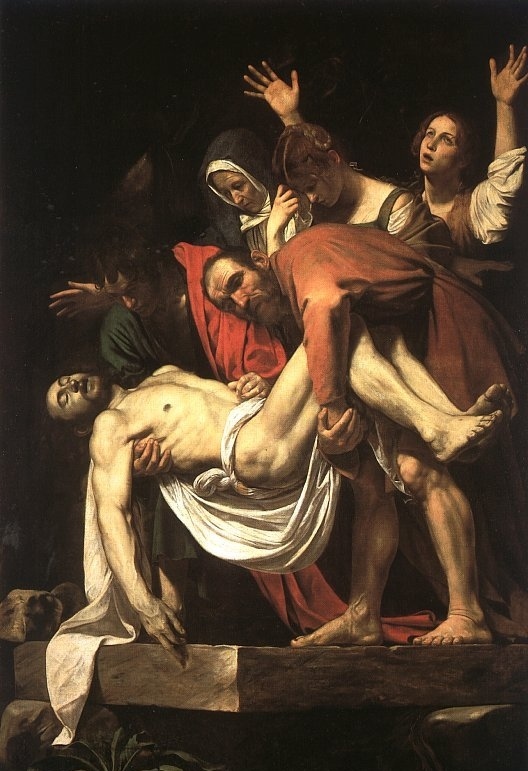 It is improbable that Pilate would have known of Joseph’s opposition to the Sanhedrin’s actions and, having been forced to deliver Jesus for crucifixion in the morning, it is strange that he should be prepared so generously to deliver his body to one of their number for burial. I speculated earlier that Pilate would have been in no mood to receive any Jewish visitors that afternoon. Perhaps the reason he agreed to this audience was that he knew Joseph to be a very rich man. Philo tells us that Pilate was accustomed to taking, or demanding, bribes. He may have hoped to make this wealthy ruler pay dearly for whatever he was to ask, and so agreed to see him, hoping he might be compensated for the earlier aggravation. Surprisingly, he immediately granted Joseph his request. Mark’s use of the word δωρέομαι dōreomai (Mark 15:45) indicates that he made a gift of the body, as though to emphasise that no bribe or payment was sought – something quite unusual for Pilate. Something transpired during that meeting that persuaded Pilate to allow the body to be taken down from the cross and be buried. But what? It has been said that Roman crucifixion was designed to prolong the agony for days and Pilate was surprised to hear of Jesus’ death after only six hours (Mark 15:44). He called for a report by the centurion. Almost certainly this was the same centurion who was in command of the execution; the centurion who, having seen the way in which Jesus died, was persuaded that he was ‘a Son of God’ (Mark 15:39). He may have seen a countless number of crucifixions, but never had he seen a man die so willingly; never had he seen a man “yield up his spirit” (Matthew 27:50) as Jesus did. The manner of his death may have persuaded him that this was no ordinary crucifixion – and that this was no ordinary man. The centurion may have expressed this conviction in his report – we will never know. But hearing Jesus’ claim to be the Son of God previously, Pilate was afraid (John 19:7-9). If the Centurion had expressed his own conviction in his report then Pilate’s fears would have intensified and, perhaps in a superstitious effort to appease the gods for executing one of their sons, he immediately granted Joseph his request. Joseph himself was, of course, a Jew. So too were Jesus and all his disciples. The term “the Jews” in John’s Gospel refers to the religious leaders in Jerusalem and not to Jews in general. A.N. Sherwin-White, Roman Society and Roman Law in the New Testament, page 45. Pilate was no doubt sensitive to such threats, as complaints against his handling of important issues had been made previously to Tiberius who over-ruled him. His career ended as a result of such a complaint and he was recalled to Rome in AD 37. Evening was reckoned to be approx. 3 p.m. to sunset. It was after Jesus’ prediction of his crucifixion (Matthew 26:2) that Mary anointed him with costly perfume which she was saving for his burial (John 12:7). No doubt she understood that if Jesus was to be crucified she would not be allowed the privilege of anointing his body, so she did it in advance. Haim Cohn, The Trial and Death of Jesus, page 238. I have read two interesting and unrelated posts in the last day or so which touch on the question of what happened to the body of Jesus after his death on the cross. Dustin Smith, continuing his review of Bart Ehrman’s book How Jesus Became God, today tackled Ehrman’s claim that ‘the common Roman practice was to allow the bodies of crucified people to decompose on the cross and be attacked by scavengers as part of the disincentive for crime’. Ehrman argues that the body of Jesus, after crucifixion, would have been eaten by wild dogs or other animals. Smith counters this by citing nonbiblical sources in support of his view that the Roman governor Pilate would make exceptions for the Jews in regard to their ancestral customs and that Jesus would have been given a proper Jewish burial. I agree with Smith, not only for the reasons he provides, but also because of other historical and archaeological evidence. 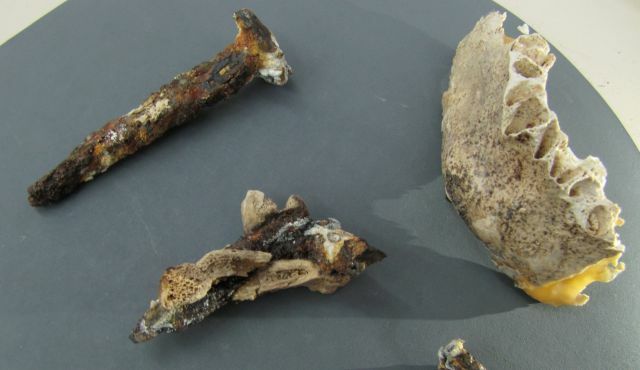 In an unrelated post George Athas recently referred to evidence that the bones of the last Hasmonean king of the Jews, Antigonus II Mattathiah, and one of the nails used to crucify him, were buried together in Jerusalem. The remains of the last Hasmonean King? Skeletal remains of other crucified victims have also been found in Israel, which is clear archaeological evidence that the Romans made exceptions to the rule of leaving crucified victims to decompose on their crosses. In fact, the evidence has been there since at least 1968, when the remains of Yehohanan, a first century CE Temple worker, were found in a cemetery in Giv’at ha-Mivtar in northeast Jerusalem and it has received so much scholarly attention since then that I doubt very much that Ehrman would be unaware of it. Eminent Israeli Jurist Haim Cohn notes that “The Roman law was that a convict, after execution, might not be buried: the crucified, in particular, were left on the cross until beasts and birds of prey devoured them. Guards were mounted on duty at the cross to prevent kinsfolk or friends from taking down a corpse and burying it; unauthorised burial of a crucified convict was a criminal offence. The emperor or his officers might, exceptionally, grant kinsfolk or friends authorisation to bury the convict [citing, in an endnote, Ulpian, Digesta, 48,24,1; Paulus, Digesta. 48,24,3], and what in Rome was the imperial prerogative was in a province the right of the governor.” (Haim Cohn, The Trial and Death of Jesus, London: Weidenfeld and Nicolson, 1972, page 238). It seems that the historical and archaeological evidence is against Ehrman. There is no reason to doubt that the body of Jesus was taken down from the cross and buried. What happened after that will, however, continue to be debated. I’ve written previously about humour, or parody, in the biblical book of Jonah and possibly in the Job narrative, and elsewhere, but I haven’t as yet posted any thoughts about Jesus’ use of humour even though this is where my investigation of biblical humour actually began. So I will correct that now by posting a few thoughts about humour in the sayings and stories of Jesus. A. Overstatement: overstating something in order to forcefully bring home a truth. An example of overstatement is in the saying: “If your right eye causes you to sin, tear it out and throw it away … And if your right hand causes you to sin, cut it off and throw it away.” (Matthew 5:29-30). Readers easily recognise this as an overstatement rather than an imperative to be applied literally. Another example is the saying: “If anyone comes to me and does not hate his own father and mother and wife and children and brothers and sisters, yes, and even his own life, he cannot be my disciple” (Luke 14:26). Jesus is not instructing his disciples to hate the people who are closest to them, but rather, he is overstating a position in order to make a point forcefully: that compared with the love that a disciple must have for him in order to be his disciple, any other expression of love, by contrast, is “hatred”. “You blind guides, straining out a gnat and swallowing a camel!” (Matthew 23:24). “It is easier for a camel to go through the eye of a needle than for a rich person to enter the kingdom of God.” (Matthew 19:24; Mark 10:25; Luke 18:25). This is such a gross exaggeration that some commentators have questioned whether Jesus really said this. The word for “camel” and the word for “rope” have identical spellings in Aramaic (גמלא), so Jesus might have actually said “it’s easier for a rope to go through the eye of a needle …” There is a common explanation that “the eye of the needle” was a small door in one of the gates of Jerusalem, and for a camel to get through its driver had to remove all its packs and the camel had to crawl through on its knees. These are interesting ideas, but miss the point that Jesus is using a gross exaggeration to make the claim that for a rich man to enter the kingdom of God is impossible! Jesus went on to say: “With man this is impossible, but with God all things are possible” (verse 26). The point of the “unreal” exaggeration is that God can do the impossible: he can even save rich people! “Why do you see the speck that is in your brother’s eye, but do not notice the log that is in your own eye?” (Matthew 7:3) The hyperbole in this story is in the contrast between a tiny speck of dust and a huge splinter (“log”). A speck of dust in the eye is an irritation, but a huge splinter would cause blindness. By contrasting these two situations Jesus points to the stupidity of offering advice to people about sensitive matters when we are blinded ourselves by even bigger personal issues. The message is more effective when stated humorously: in laughing at ourselves we are more open to receiving the truth and to being gently guided to a better way. An unusual or unreal story-line is an effective use of humour to direct the listener’s attention to the main point and sometimes accompanies hyperbole in Jesus’ stories. For example, the story of the “ten virgins” or bridesmaids (Matthew 25: 1-13) portrays a wedding party which includes five bridesmaids who are unprepared for their role in an event which normally would have been planned with precision. In the culture of Jesus’ immediate audience, weddings were a major event which lasted several days and were planned to the smallest detail possibly months or years ahead. Everyone involved in the wedding knew their role and how to prepare for it. Part of the traditional first century Jewish wedding was a procession at night when the bridal party went to meet the groom. The bridesmaids carried torches for lighting the way and the torches were used as a feature in a “fire dance”. This was a traditional part of every wedding, and the bridesmaids would have learned and practiced the dances well in advance. It was an important part of the celebrations and it’s inconceivable that some detail of it would have been overlooked or forgotten. Jesus’ audience would immediately have recognised that his story was unrealistic and therefore comical with a main point which came in a “punch line” in verse 13: “keep watch”, or “be prepared”. Something as important as a wedding takes a great deal of preparation, and one would pay attention to every detail to make sure everything went as it should. How much more should they be prepared for the coming of the kingdom of God. Didactic humour serves a number of purposes: it is memorable; it is interesting and keeps the audience engaged; it helps to focus on one main point; it makes the listener more receptive to the lesson; it encourages a response. Jesus employed humour frequently and effectively. Longenecker, B.W., “A Humorous Jesus? Orality, Structure and Characterisation in Luke 14:15-24, and Beyond” Biblical Interpretation 16 (2008) 179-204 p.181, citing R.A. Horsley and N.A. Silberman, The Message and the Kingdom (Minneapolis: Fortress Press, 2001), p. 47. Longenecker 2008 p.183, citing H. Palmer, “Just Married, Cannot Come”, NovT 18 (1976), pp. 241-57 (248). Longenecker 2008 p.182, citing D. Sayers, The Man Born to be King (London: Victor Gollancz, 1946), p. 26. Several of Jesus’ teachings referred to blindness in a humorous or satirical way. For example, “They are blind guides.And if the blind lead the blind, both will fall into a pit” (Matthew 15:14), is not hyperbole but meets the criteria for humour. This would make the hyperbole symmetrical but wouldn’t remove it. All early manuscripts and quotations in the church fathers have ‘camel’ not ‘rope’. George M Lamsa’s Syriac-Aramaic Peshitta translation has the word ‘rope’ in the main text but a footnote on Matthew 19:24 which states that the Aramaic word gamla means rope and camel, possibly because the ropes were made from camel hair (The New Testament according to the Eastern Text, George M Lamsa, 1940, p.xxiv and note on Matthew 19:24.) Similar sayings in the Babylonian Talmud have “an elephant going through the eye of a needle” (Berakoth, 55b , Baba Mezi’a, 38b). Jesus’ audience would have been familiar with Pharisaic theology which argued that wealth was a sign of God’s favour (because of righteousness) while poverty was a sign of God’s disfavour (due to sin). This saying turns this theology on its head and reverses the order.